David Stephens has been around the block and then some. 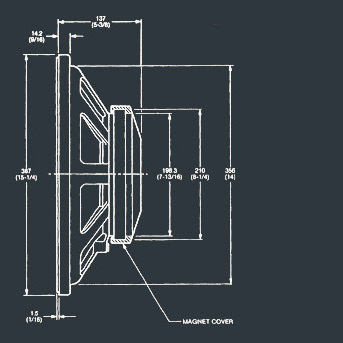 He has worked in the loudspeaker industry for groundbreaking manufacturers as well as alongside just about everybody who’s anybody including pioneers such as Jim Thiel and Richard Vandersteen. It would take a lot of space to list all the projects, brands and products he’s been involved with over the years. Suffice to say he’s experienced with loudspeaker research, development and sourcing. Currently he is a Vice President at Premier Audio Group, a division of Eastech Electronics. We chatted with David about the state of the industry, the Hong Kong fall show and why he thinks the upcoming Loudspeaker Sourcing Show is exactly what the loudspeaker industry needs. 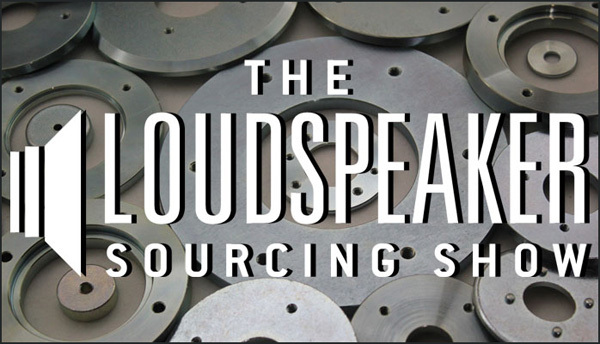 Q: How will a show like the Loudspeaker Sourcing Show be good for the industry? As soon as people started outsourcing to China many forgot that there are quality suppliers all over the world. There currently is no forum for all these companies to work with speaker manufacturers, period. We seem to be constantly fighting the battle of what is the next cone material or driver design, for example. So having a forum where all the suppliers in the category can meet will promote the things we used to do. Before all this mad intellectual property rush there used to be more open communication in the driver business. There were many CES shows where other manufacturers would drop by the booth and we would discuss what everyone was working on. After the big business change to protect IP, all the communication between people and companies just stopped. I get the fact the companies need to protect their ideas, but we really lost the interaction and communication a show like this can revitalize. Q: Will this show be a benefit to companies that outsource their entire product solutions? Yes. You will never find a company that knows more about cone materials than Dr. Kurt Mueller. DKM is the world expert in material sciences. They have locations in Germany and the UK, but for companies not in these countries how do companies meet with them? How do I as a small customer who may buy 1,000 cones or spiders for example meet with Kurt’s team? With suppliers like Kurt’s exhibiting, the show provides small companies an opportunity to meet face to face with the best solution providers. Getting more people to understand the purpose of a show like this will create less “replica” products and fuel more innovative products coming to market. This is a completely different kind of sourcing show. The Hong Kong fare is 16 floors of chaos. And companies are not there to help you with a unique solution. They are there to show you exactly the same thing that everybody else has. I’m hoping this show brings vendors with enough interesting and new products, that brands can actually source unique solutions. Q: Premier Sound Group which you are a part of has a unique philosophy, correct? What we are trying to do with Premier Sound Group, a division of Eastech Electronics is to create an alternative to your average Chinese factory. But what we are constantly facing is huge challenges in finding sources for the materials that we need. For example we can’t find the carbon fiber we need or the electronics the way we need it done. We find many Chinese suppliers that say they can do something but the ones that can do something unique and different, are very hard to find. Q: I would think that smaller brands might find a perfect supplier for small orders at a show like this. Yes they should. The minimum order issue with some factories is difficult for some brands to meet. Sometimes the minimum order may be 10,000 but let’s say I need 200. Philip Richardson’s philosophy at Trueanalog is, the more interesting it is, the more he’s motivated to deliver it. So he’s all over the smaller orders that provide unique characteristics. We need more factories like this in the world that want to innovate and challenge their engineering teams. My opinion is that this show is about showing a different side of the industry where not everything is “impossible”. There is a lot of opportunity to do things differently. Let’s get everybody together at this show and get the communication back in the loudspeaker industry.